Every year in the past when I have owed taxes and e-file, Turbotax has withdrawn funds from my account within 24 hours after filing, to then forward and pay the IRS and my State revenue office on my behalf. This year, I find out that they are taking 7-10 BUSINESS DAYS to make the withdrawal. What's with that??? They certainly took my money to pay for their program within minutes. I just got off the phone with my state revenue office, who say I already owe $12 in penalties and interest after only two days after filing (which I did ON TIME). There is no mention of this delay during the preparation process. When I called TurboTax the representative was dismissive of my concern, saying "That's TurboTax policy"
Degradation in the efficiency of service should not a 'policy' make. I want a 'higher up' to address this issue. I've reported your post to TurboTax Moderators for review. TurboTax does not "forward and pay the IRS and state revenue office" at all. You, as the taxpayer, select the option you wish to use to pay your federal and state tax liabilities. You can pay by credit card, by check, by electronic methods....there are several options to pay. The TurboTax FAQ below explains payment options for federal taxes. States are different, but most of them allow for direct debit from a bank account. I am totally unaware of any payment option that requires 7-10 business days. To clarify what Kat said, if you select direct debit to pay the taxes that you owe, the IRS and your state Department of Revenue make the withdrawals directly from your bank account. All TurboTax does is transmit to the IRS and the state DOR the bank account information that you provide, so that they can make the withdrawals. TurboTax does not handle the money and is not involved in making the payments. When you select direct debit, you specify the date that the withdrawal is to be made. That's exactly the opposite of what the representative at the State of Minnesota Dept of Revenue stated. He stated that Turbotax forwards the proceeds via EFT. The Turbotax representative with whom I spoke confirmed this. A TurboTax Moderator should be contacting you sometime today to clarify for you. The offices are located on the west coast, so keep in mind the time differences. How TT works (as I understand it): When you elect to use direct debit to pay a tax liability, you enter your banking information and also select the date you'd like your account to be debited. Do you recall selecting a date when you e-filed? Because these direct debits are electronic, they are typically made on or near the date you selected. There is no 7-10 day waiting period. One other point: Say you selected 4/15/2019 as your direct debit date. The federal or state taxing authorities, if there is a delay in THEIR debit of your account, do not penalize you for their delay. The date you entered for direct debit is honored as long as your return was e-filed in a timely fashion. You DID e-file your returns, correct? I'm sure the Moderator will be able to rectify this issue to your satisfaction. @psycmeistr Please watch your email for additional information regarding your specific situation. Yes, I filed on time. I just noticed today that the funds to pay my state taxes were debited from my account today, but the funds to pay my Federal taxes have not yet come out. Since I applied for a payment plan on my Federal taxes, I did select a date that funds would be debited with regard to my monthly payments. I also directed that an initial down payment on my Federal taxes be taken out; since I filedon the 15th of April, I would have figured by default that the funds for the initial deposit of my tax liability would have posted on that date or soon thereafter (previous years, the funds were withdrawn within several hours after filing). At any rate, of course, I'm hearing several different things being mentioned, one the 7-10 business days (Turbotax representative over the phone told me this)., with Turbotax withdrawing the funds and then forwarding it in my name to the IRS, and the other (here) that the IRS withdraws the funds directly when they're good and ready to, and from the State of Minnesota rep from the MN Dept of Revenue I heard that Turbotax performs the EFT, and that the State of Minnesota has nothing to do with it. Oh, I didn't realize you had set up a payment plan for paying your federal taxes. That's a totally different situation that I'm not familiar with. I do see, though, how that may take a bit longer to set into motion than simply paying your tax liability all at once by direct debit. So glad you hear that your state has debited your account. If you scheduled a direct debit date of 4/15 with the state, I'd be surprised if you were charged late payment interest. Guess every state has their own policy about that. Regarding TurboTax actually transmitting funds to either taxing authority, I don't believe that is true in ANY case. They do contract with a couple of banks to handle the "Pay with my Refund" option. 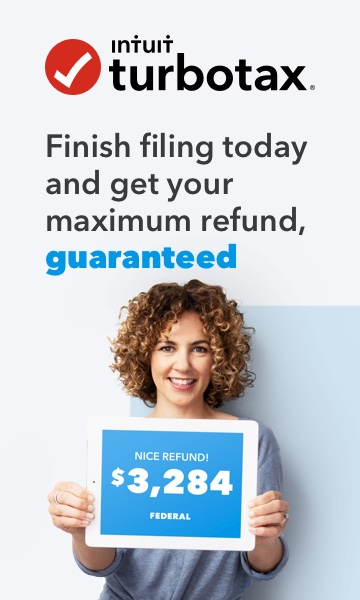 But TurboTax as an entity doesn't get their "hands" in the money. I hope you have received the email sent to you by the TurboTax Moderator and can have your case resolved. Best of luck!